Bill Yee, M.D. completed a residency at the Los Angeles County, University of Southern California Hospital in Los Angeles and then a fellowship In Reproductive Endocrinology at USC. Dr. Yee is Board Certified in both OB/GYN and Reproductive Endocrinology/Infertility. He has been a pioneer in the field of in vitro fertilization since 1982, and his contributions include the first successful frozen embryo transfer resulting in a healthy baby in the United States. Dr. Yee is well known for his expertise in the field of ultrasound. He is also noted as the lead author of Transvaginal Sonography in Infertility. Also his pioneering work to save the lowland gorilla from extinction resulted from the first successful in vitro fertilization in this species. 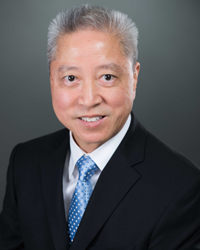 Dr. Yee has served and held numerous leadership positions including president of the Society for Assisted Reproductive Technology (SART), board member of the American Society for Reproductive Medicine ( ASRM), and an active deputy commissioner of the College of American Pathologists (CAP) for the past twenty years which regulates IVF labs in the United States. In 1996, he co-founded the Pacific Society for Reproductive Medicine and is a permanent member of their Executive Council. When not working Dr. Yee enjoys golf, travel and exotic sports cars.